People calling to interview them who haven’t actually read their resume or accomplishments. Getting one interview, but never hearing anything beyond that first interview. Pick the right format. Depending on experience a standard chronological, skills based or curriculum vitae are the three most commonly used formats. Email Coreena@letmeshutmydoor.com if you would like specific details about these formats or a template to one or all of them. List your achievements. Be sure to quantify the achievement and the impact it had on the organization. This is your chance for unabashed bragging. Any special projects, duties, committees, honors, awards or more! This is a chance to list your successes. It is important to have at least three, but no more than five. Keep in mind, these accomplishments should be your “banner moments” of the position. If you are having a hard time coming up with accomplishments think about filling in this sentence, “when I leave this company, I will be remembered for________”. Outline your responsibilities. To whom do you report? How many people do you oversee? Do you manage a budget, size of budgets and the last few years of results. Make sure your responsibilities are clearly listed and defined. Pick no more than five of your biggest responsibilities, per position. Clearly state your education. You want to clearly state your education, as well as, any certifications, or special training. Be sure to use proper terminology. Type out any abbreviations and acronyms. 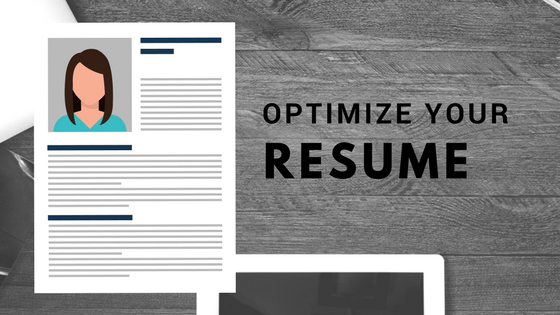 You want your resume to be found in a search if posting on job boards. For other helpful career management tips, visit HERE.